Granola Shotgun has an excellent post on his approach to solar. Because his building is in a somewhat less favorable zone for generation and in a much less intensive use zone (AC is rarely needed, so electric bills are modest) he discovers a large standard photovoltaic system will not be worth the cost or (just as importantly) the complications. I asked my tenants to look at their electric bills. $47 per month was the average with the highest month being $65. Service fees, taxes, and other administrative costs made up a significant chunk of those bills so $25 was owned even before any power was used…. If I assume an electricity bill of $60 a month a standard grid-tied solar package will cost $9,000 up front after government subsidies. There’s a thirteen year pay back period. And after twenty years there will be $6,000 in savings. Financially, it makes no sense to spent $9,000 to save $6,000. There are lease and loan programs for solar equipment that don’t require any money up front, but I don’t like debt or complex transactions with binding long term contracts and legal fine print…. The problem with my property is that it simply doesn’t use enough power for solar to work given the established industry parameters. He checks into a system that would use battery backup and allow independent use (many people don’t realize standard solar tie-ins are useless in the event of power failure; a lot of effort in splitting circuits and expensive batteries is required.) It would be great if you could throw a big switch and go gridless, but for most people that day is far away. Mr. 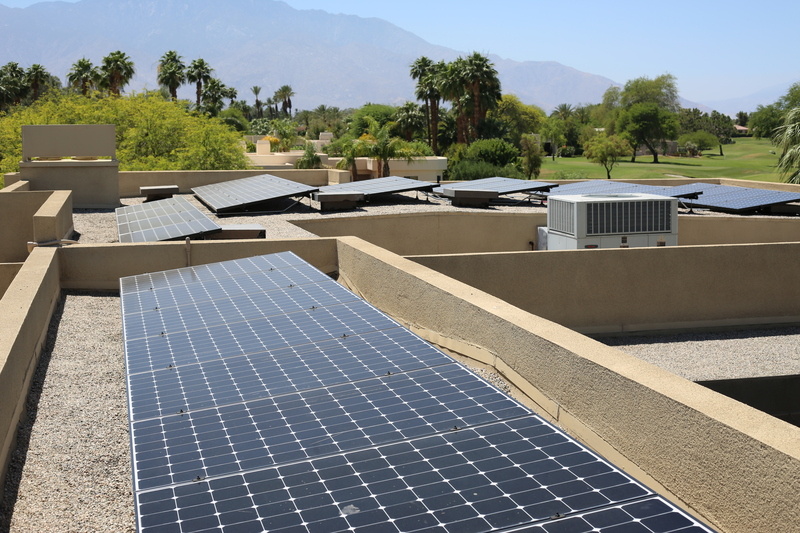 Shotgun discovers completely independent small systems which use a few panels to charge batteries and run small electronics are cheap and readily available, and don’t require the expensive overhead of government inspections and teams of workers as in standard solar installs. By keeping his needs and expectations minimal, he can get to some disaster-proof independence. Read the whole thing. This blog focuses mostly on how to make the larger home more efficient, but minimalism and living small are valid solutions as well. • Site characteristics, including local shading by nearby trees or buildings, the practical tilt your roof allows. Few roofs are optimally aligned with the correct E-W roofline and angle so an optimal array of panels can collect maximum solar energy. Closely-spaced panels on flatter roofs will shade each other unless tilt is decreased and spacing between panels increased. • Weather: clouds and fog, dust and rain cut down insolation (amount of solar energy hitting the surface), and dust or snow on the surface of solar panels either must be cleaned off or lower production accepted. 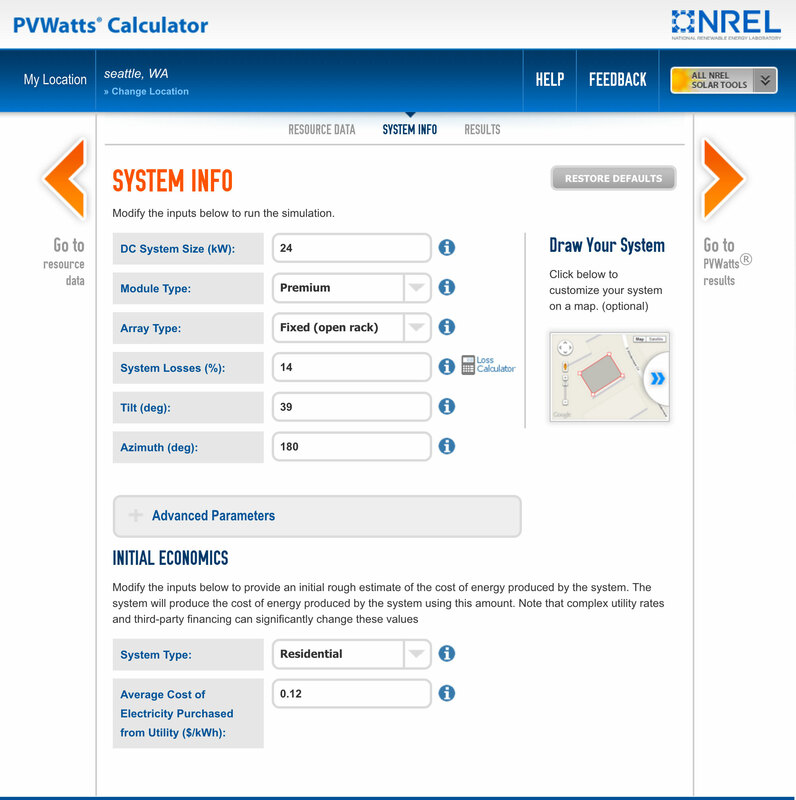 Online calculators that take solar angles and local climate records into account can give you a rough idea of how much power a rooftop solar installation will produce. 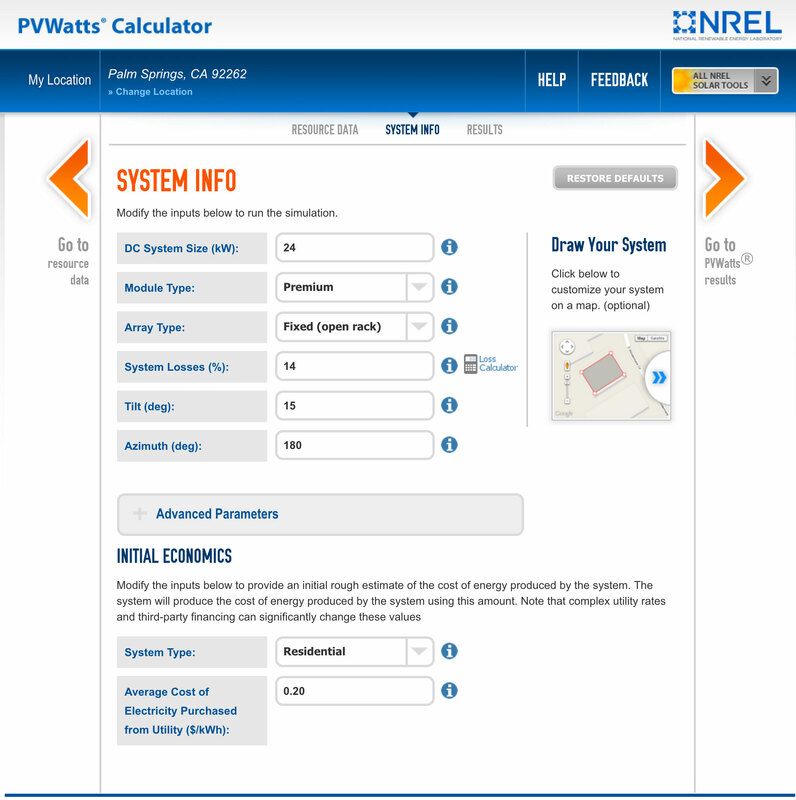 One of the best is the National Renewable Energy Lab’s PVWatts Calculator. 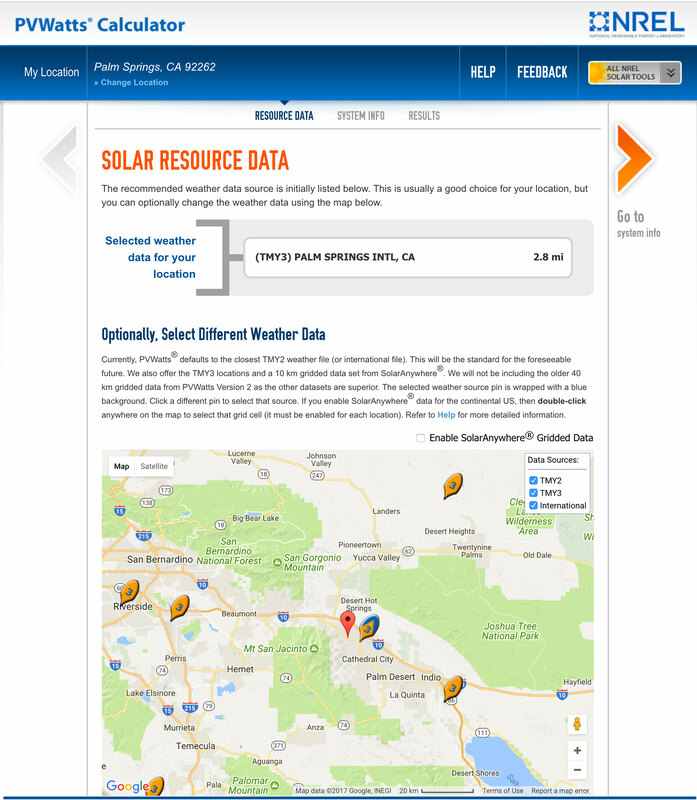 First look up the approximate latitude of your site, then look up the optimal tilt of panels for that latitude here. 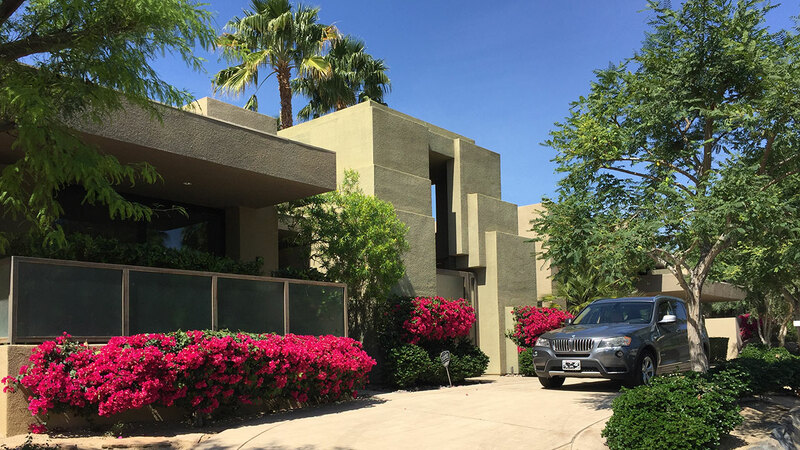 If your roof is ideally aligned and angled, you can use the optimum fixed tilt for your location, or substitute an angle required by your roof or siting issues. I’ll go through using the calculator for the site we used near Palm Springs, which has almost ideal solar conditions, then repeat for the same house in Seattle, which has fewer cloud-free hours and lower solar intensity even under clear conditions since at higher latitudes the sun is lower in the sky and solar radiation has to travel through more atmosphere to reach the panels. 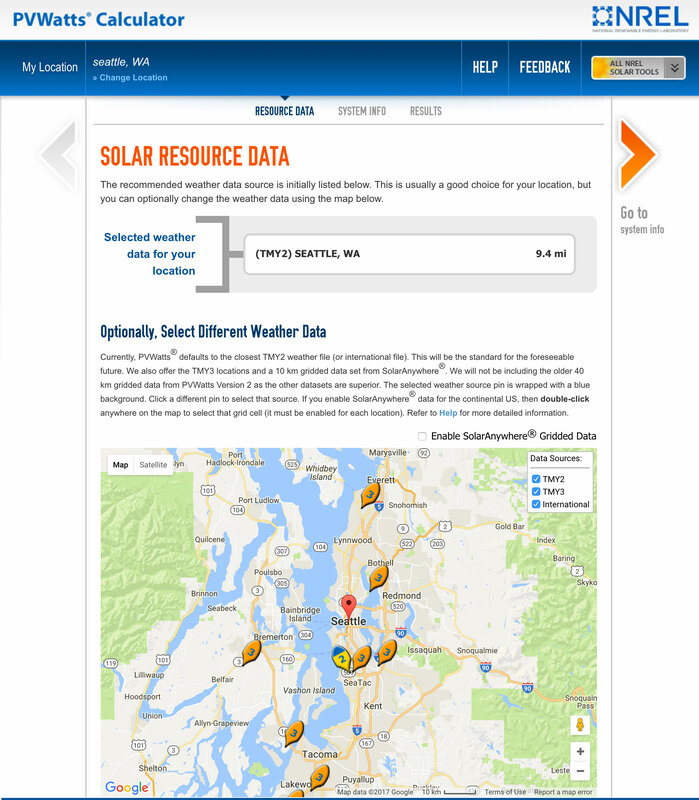 Not to spoil the surprise, but the combination of lower grid rates and much less power production from panels due to much less sun will demonstrate that rooftop solar is not cost-effective in Seattle now, and won’t be until grid rates rise and panel prices fall substantially from here. Then you enter some details of the planned installation — in this case, 66 panels generating 360W each for about 24KW total power, “Premium” type (we used the current industry-leading Sunpower X-Series panels.) “Azimuth” is set to 180° for exact south-facing alignment, “Tilt” at 15° as installed, and “Average Cost of Electricity” (from the grid) at 20c/KWh — as we’ll see later, utilities in progressive areas have complex tariff schedules that make this number hard to calculate, and even more complex ToU (Time of Use) and moment-by-moment charging schemes are on the way. Since we’re simplifying this just to get an idea if solar comes close to being cost-effective, I’ve selected 20c as an average cost for high users in Palm Springs — actual peak rates are much higher. For our own project, a flat roof with limited area meant keeping the tilt angle of the panels less than the optimal 28° — higher angles would have rows of panels shading the next row, so a lower angle (15°) was chosen. 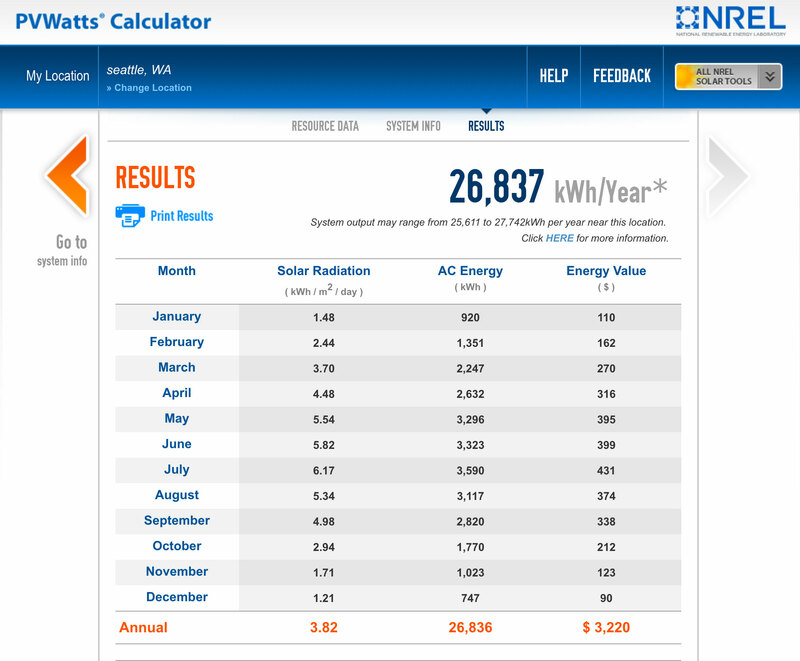 The outcome is shown below: about 40,000 KWh/Year generated, saving about $8,000 a year in grid power bills. Since this installation cost about $65,000 after subtracting the Federal tax credit, it is expected to return about 12% of its cost yearly and pay for itself in about 8 years — neglecting some minor cleaning and maintenance costs and assuming little degradation in production as the panels age, which is close to correct for these premium panels, which are guaranteed for 25 years. 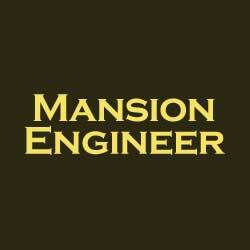 This is one of the highest-return investments you can make, under these almost-ideal conditions. Note less costly thin-film panels cost less but also degrade faster. Results: only 27,000 KWh/year generated, and because local power averages out to 12c/KWh (on the low end of costs in the US), grid power costs saved is only $3,200/year. Ignoring other costs, the rate of return on investment is 4.9%, and payback period 20 years — but the maintenance costs and cost of money invested, with loans for 20-year periods in the 4% range, means the panels will be nearing the end of their guarantee and producing less than we assumed. The investment is marginal at best, close to break-even even after the 30% tax credit. Large areas of the US have unsuitable weather, lower grid costs, or a limited supply of houses with appropriately aligned roofs for solar installation. So when you see solar installs in those areas, it’s a result of government spending foolishly on trophy installations that make no sense, or the desire by a few consumers to sport a trendy symbol. 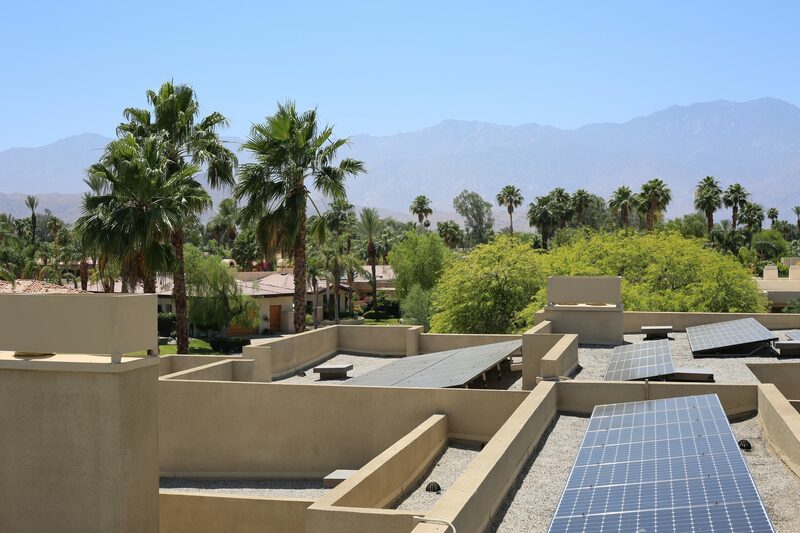 If you look around at your neighborhood and see few or no solar panels on roofs, that means you are likely to be disappointed in the return on your investment in solar. Designing in future solar during homebuilding, on the other hand, can make sense in much larger areas of the country — having the right roof and house orientation may well be a wise choice for when panels are even cheaper and electric rates have risen further in your area. The widespread hype for solar, including the large number of scams and fly-by-night, high-pressure solar sales companies active recently, has victimized some consumers. “Aspirational” solar purchased by wealthy homeowners because they want to signal their enlightened attitudes is just another conspicuous consumption good, like Teslas. Rooftop solar is another complicated system to maintain and is a bad investment unless it returns its costs quickly.